We are willing to provide cardholders with one more way to quickly and conveniently authenticate themselves for online payments and banking operations. Now they can simply tap a card to their smartphone. This feature will be a part of WAY4 Mobile Authentication Application. Issuers use this solution to comply with 3DS requirements for strong customer authentication. In addition to fingerprint scanning, face and voice recognition, OTP and passcodes, this mobile application will support the NFC-based authentication method. Issuers may want to “double” security for certain e-commerce operations – e.g. very expensive purchases. NFC can serve as the second step in mobile authentication. The transaction stops being “card-not-present” and becomes even less risky. During checkout the buyer receives a mobile push notification, opens WAY4 app and follows the instructions. Biometric recognition or OTP/ passcode entry go first. Tapping the card to the smartphone completes authentication. The user sees confirmation on the phone screen and on the checkout page. To start using the mobile authentication app for online shopping, users should first enroll their card in their app. Issuers can now use an NFC tap and a special e-commerce PIN for Strong Customer Authentication. The NFC tap is used to transfer card details to the app. Alternatively, users can fill in the details manually. After that, users enter an e-commerce PIN to complete the enrollment process. An e-commerce PIN is a static security value which issuers can configure in a card's chip when it is issued on WAY4. Cardholders can receive this PIN from their issuer in the same secure way as a normal PIN. The e-commerce PIN can also serve as a mobile authentication method, along with biometrics, OTP, passcodes and NFC. Companies can use NFC to authenticate customers and enroll their cards in any mobile application (e.g. banking apps). To learn more about the WAY4 Mobile Authentication app, please read this piece of news, consult your BRM or request the brochure on our website. WAY4 is now equipped to connect financial institutions to external instant payments. OpenWay has developed an interface to a national end-to-end instant payment system in an Eastern European country. Through this interface, WAY4 can access the instant payment system and process account-to-account money transfers between clients of different banks by phone number or e-mail. Cardholders can also send money in real-time via messengers and social media. The credit transfers can be processed within several seconds, and the funds become instantly available for a recipient. Instant payments on WAY4 are available 24/7. The new interface to the instant payment scheme is based on the ISO20022 protocol. We can make WAY4 compatible with instant payment systems in any other region. If you would like an estimation, please consult your BRM. WAY4 now supports the latest authentication protocol for e-commerce transactions: 3-D Secure v2, also known as EMV 3DS. The new protocol fights fraud and makes the liability shift work in your favor. What’s more, 3DS v2 provides a frictionless checkout experience for online buyers. It results in fewer abandoned shopping carts and higher revenues for those who process online payments. If you are using WAY4 3-D Secure v1, we offer a licensed upgrade to WAY4 3-D Secure v2. After the upgrade both protocols can co-exist in your payment processing until IPS stops processing the old version of protocol. WAY4 3-D Secure v2 also works as a stand-alone solution. It can integrate via APIs into any 3rd party e-commerce infrastructure. Customers can now launch new types of real-time payments on WAY4 as we have enabled instant posting. When users accept or initiate money transfers, their accounts are immediately credited or debited. WAY4 also calculates tariffs and charges transactional fees without delay. New business models for you to seize. With instant posting you can target multiple customer segments. WAY4 supports person-to-person, person-to-business, person-to-government payments and mobile transfers. For example, friends can split a bill in a restaurant right after dinner. Cardholders are able to pay fines and taxes immediately upon receipt. Service providers – plumber, babysitter or gardener – can be paid once the service is delivered. Superb experience for credit card users. For instance, credit card holders will not be charged late fees even if they pay on the last day of the grace period. If the issuer blocked a credit card due to delinquency, WAY4 can unblock it automatically as soon as the customer discharges their debt. Instant settlement for merchants. Acquirers can guarantee their merchants immediate settlement, even for new transaction types, e.g. QR-payments. This functionality can particularly benefit small merchants and individual entrepreneurs who have a short production cycle and shortage of funds. Visa cardholders can now enable mobile payments for their cards through the issuer’s call center. When the customer calls, the support officer uses a dedicated WAY4 screen to initiate VDEP token activation right away. WAY4 sends the online request to Visa Token Service (VTS) and receives the VTS reply about the token activation status. In case of success, the card will be available for mobile payments instantly. WAY4 now works with eight-digit BINs. International payment schemes have introduced this new standard to ensure an adequate BIN supply for the growing global payment industry. All issuers are required to support the new BINs by April 2022, thus avoiding misrouted transactions and unnecessary costs. OpenWay customers can migrate to the new standard without operation disruption or much reconfiguration of WAY4. After the deadline every six-digit BIN, previously assigned to an issuer, will turn into 100 eight-digit BINs. For example, 412345 will turn into a hundred of eight-digit BINs – ranging from 41234500 to 41234599. Most probably, the international payment schemes will charge members for all new BINs instead of the initial one. Issuers are recommended to deactivate unused eight-digit ranges to optimize the BIN usage and avoid unnecessary costs. Issuers on WAY4 can clear the unoccupied BINs ranges step by step. Existing cards would keep the old BIN until the card expiry date. All re-issued and brand-new cards would get the new eight-digit BIN selected by the issuer. If you prefer a faster adoption of the new standard, we can prepare scripts for a ‘Big Bang’ mass re-issuance of card batches. OpenWay conducts BIN migration projects under a separate service agreement. To learn more, please consult your BRM. Issuers on WAY4 can target frequent travelers with a Multi-Currency Travel Card, giving them more transparency and control over currency conversion charges. Issuers can configure rules for such cards themselves or let customers do this via online banking. It begins with linking separate accounts in different currencies to a Multi-Currency Travel Card account. Then routing rules should be defined. WAY4 selects a linked account depending on the transaction or settlement currency. For example, transactions in EUR go to the linked account in EUR, those in USD go to the USD account, and all the rest are recorded in GBP. All transactions, regardless of their currency, are recorded on one preferred account. The Multi-Currency Travel Card can be debit or prepaid. The linked accounts can be stored in WAY4 or an external system, e.g. core banking. Now you can make e-commerce transactions more secure for cards that don’t have static CVV2. Typically, it would be virtual cards or private-label closed-loop cards. They are not eligible for 3-D Secure, but our new functionality reuses standard authorization channels to guarantee these cards a similar level of fraud protection. To make an online purchase, your customer begins with providing the card number and expiration date on the e-store checkout page. WAY4 generates a one-time CVV2 for this card and sends it via SMS or alternative delivery channels. After the cardholder enters the received value on the e-commerce page, the payment is confirmed. Now WAY4 supports Thales Keyblock LMK – the new encryption algorithm for Thales HSM devices. You need this feature to comply with the latest PCI SSC requirements. Additionally, it means a more efficient, up-to-date and safe encryption process for Working Keys that are used to check the values such as CVV, PVV etc. This enhancement is a part of WAY4 Key Management functionality. We introduced a new risk rule in WAY4. Use it to define how many cards issued by you can be used at the same POS terminal over a short time interval. When this limit is exceeded, it may be an indication of BIN attack fraud. Now WAY4 can identify this suspicious situation, block operations for all cards with the related BIN, and notify your staff. BIN attack fraud may happen on the theft of a pool of cards not yet delivered to the customers. If you launch the Apple Pay service on WAY4, our new feature can help you comply with Apple’s latest mandates and save your time on manual report preparations. You can configure WAY4 to collect data about Apple Pay tokens, devices and transactions (including transaction amount, type, currency, MCC code, etc.) Using this data, the client can generate the mandatory Apple Pay statistical reports. Issuers are supposed to provide these reports to Apple Inc. on a monthly basis. The support of Google Pay reports is coming soon. This new workbench extends the WAY4 Partner Management solution. It benefits issuers who sell instalments at POS in partnership with retail stores. Now the issuer’s employees have user-friendly web interfaces to configure the sales finance scheme/model. The workbench allows them to view and edit partner contracts, commissions you pay to partners or fees they pay to you, and instalment transactions. Often, when you re-issue the customer’s main card in the event of upgrade /downgrade, the same should apply to the supplementary cards. Our new “Product Lines” feature helps you avoid the time-consuming manual reissuing of supplementary cards. Now the issuer can group card products into Product Lines, each including some main and supplementary cards. The lines can be labelled according to your preferences – for example, “VIP”, “Student”, “Classic”. You can move the main card from one line to another. WAY4 will automatically reissue the supplementary cards within that new line. Your existing card products can be assigned in bulk to your newly created lines. To attract new incentive-driven customers or motivate your existing cardholders to make a purchase on instalment, you can offer them a grace period. The WAY4 instalment scheme allows you to set the N number of periods when the grace rate is applied instead of the base rate. The portion amount for the grace period can be smaller than for other periods, or be the same. To reward an existing instalment user, the issuer can apply the grace conditions in the middle of the instalment annuity plan. This can be done via the Change Instalment Plan procedure. In case of partially early repayment, the defined rates and number of periods will stay the same. We are developing a new-generation stand-alone fraud prevention platform. It’s designed for issuers and acquirers who use WAY4 or 3rd party CMS, core banking, or e-commerce gateway. The solution will support rule-based transaction scoring with minimum impact on the processing system and provide a user-friendly interface. To make a decision, it can use data from internal and external databases. The ‘access-granted’ double-check is a major enhancement in all workbenches that are based on the WAY4 case management platform – Claim Management, Dispute Management, Risk Management and others. Processors serving more than one bank are more likely to keep it on, as a necessary security measure. Whenever someone initiates a document activity via configuration or operation screen, now WAY4 performs a second-level verification of the user access privileges. If the action is forbidden for this particular user, WAY4 displays a message about insufficient rights. More specifically, in earlier releases it was already possible to define fine-grained user access control to cases, through the Case Management-level grants. However, the new Access Granted Double-Check feature ensures an additional control of data access against the system-level officer grants. Subsequently, the combination of both access restriction levels applies – that is, case management-level restrictions as well as system-level restrictions. Access can be granted or denied for individuals or groups of users. It can cover product categories, financial institutions and domains. WAY4 always checks if the particular user has the right to manage cases of the selected financial institution. Risk department officers can put a card into the exception list only if they are permitted to manage this particular issuer. Due to the ‘access-granted’ double-check, the workbench users can only access documents of their assigned financial financial institutions, regardless of the actual contract hierarchy. Now WAY4 applies the ‘Maker-checker’ approach when a bank officer initiates ‘Credit Account’, ‘Debit Account, ‘Charge Fee’ and ‘Charge Manual Fee’ actions towards the cardholder. By default, WAY4 won’t post the created documents until the supervisor approves the actions. The view of the contract hierarchy of cards with several linked accounts has changed. Now the main card resides on the top level, and all linked account contracts are shown under the card. It simplifies the clerk’s work with information for each sub-account. This enhancement is especially useful when showing the hierarchy for a multi-currency card and its related accounts in different currencies. When creating a new client contract, corporate card issuers can select a corresponding liability contract. We added this feature to simplify corporate card reporting. When searching the cardholder transaction history, bank officers can use a new filter – Balance Change Mode. It helps to exclude the transactions which did not change the balance, such as PIN Change or Balance Inquiry. Visa Real-Time System Interface, previously available for WAY4 acquirers, now works for WAY4 issuers too. Using RTSI, our system can connect to Visa Resolve Online (VROL) automatically and exchange inward and outward questionnaires, explanations and so on. This interface serves to minimize the need of manual queries to VROL and is fully compatible with new Visa VCR rules. We have introduced a new approach for flexible data loading. Now all data tables are grouped in semantical data sets or ‘modules’. Examples of such modules are “Instalments”, “Dispute cycles”, “All issuing operations”, and “Authorizations”. Our new interface lets you easily enable or disable standard module loads. You can also register custom modules and include them in a standard load procedure. Soon users will be able to set the desired frequency and priority of data load. Now WAY4 Housekeeping can merge and compress old partitions and store old unchanged data in a more compact way. It serves to free Datamart server space. Now issuers can load dispute data – reason code, result code, activity date and other chargeback-related information – from WAY4 Case Management into WAY4 Datamart. Now the special Interchange Fee Reconciliation mart shows information from IPS Reconciliation report provided by Visa and Mastercard. If you use the WAY4 Fee Prediction solution, you can also load and compare the predicted and actual fee values. A new table describes the hierarchy of acquiring contracts. Therefore, contracts have got a new classifier to mark their position within hierarchy. It gives you more flexibility in data analysis. For example, a merchant statement can show which parental contracts this one resides under – going as many levels up as you need. Or you can generate settlement reports that cover only merchants of the selected ISO or Payment Facilitator. 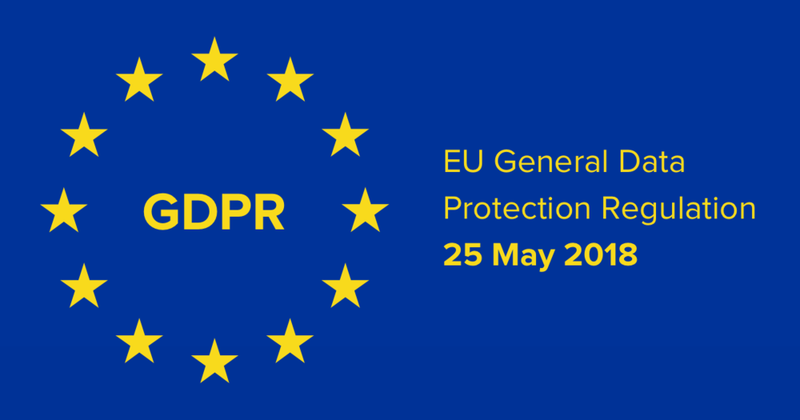 To comply with the most important change in data privacy regulation in Europe – General Data Protection Regulation (GDPR) – you can now use Personal Data Management, a dedicated module in WAY4. The new functionality enables data controllers and processors to manage customers’ personal data in a GDPR-compliant manner. It allows you to erase personal data for customers with finished relations and support the “right to be forgotten” which means that after automatic and manual checks the personal data will be permanently hashed in WAY4 (keeping all referential integrity and GL balance intact). WAY4 can store extended information about consents, including statuses, processing purposes and so on. The system is able to prepare the notifications for a data subject about the GDPR-related request results. The smart search algorithm identifies the personal data in the processor's database. To fulfil the customer's right to receive personal data concerning them ("data portability"), you can export these data from WAY4 in the required format. While calculating a differentiated fee in real-time, WAY4 can now take into account the contract turnover or number of certain types of transactions for the period. We added this option for both issuing and acquiring products. This comes into its own when several possible tariffs could apply to a single transaction, which has just hit the volume threshold. The most typical use case is a volume-based cash withdrawal fee. On March 28th a customer withdraws 500 USD from the ATM. During the current reporting period (March 1-31) this customer has already withdrawn 1600 USD. How will WAY4 calculate the fee for the new transaction?